LIZZIE BORDEN, who was unsuccessfully prosecuted in 1892 for the axe murders of her father and stepmother, had red hair. So did Lynette Fromme, who spent 34 years in prison for attempting to assassinate President Gerald Ford. Vladimir Lenin, the Bolshevik revolutionary who became one of history's bloodiest mass murderers, was also a redhead. Ditto the Wild West gangster and bank robber, Jesse James. As those examples demonstrate, people with red hair are prone to violence and should be suppressed. Right? Only a blockhead would pronounce redheads a singular threat on the strength of a few cherry-picked instances of villains with red hair. Pretty much any population subgroup will contain some number of vicious thugs. You can find "bad hombres" — to coin a phrase — among tall people or French speakers or tea drinkers or Methodists. So what? A handful of offenders within a group doesn't mean the group as a whole is more likely to offend. The same is true of undocumented immigrants. During the 1990s and 2000s, as the number of illegal immigrants in the United States tripled to nearly 12 million, crime rates nationwide plunged. That should be self-evident. Yet among immigration restrictionists and seal-the-border hardliners, it has become an article of faith that anyone who enters the country without a lawful visa is a "criminal alien" and a danger to public safety. As a matter of straight fact, that belief is false. Decades of research confirm that immigrants to the United States are significantly less likely than native-born citizens to commit serious crimes or be in prison. It makes no difference whether immigrants enter the country with or without legal documents: Scores of peer-reviewed studies establish a negative correlation between immigration and crime. Just last week, Governing magazine reported that in the 20 US metro areas with the greatest presence of illegal immigrants, average rates of violent crime and property crime are 8 percent to 10 percent lower than the national average. During the 1990s and 2000s, as the number of illegal immigrants in the United States tripled to nearly 12 million, crime rates nationwide plunged more than 40 percent. Donald Trump may be sincere when he insists that immigrants, especially unauthorized immigrants, are a threat to public safety. But he's wrong. 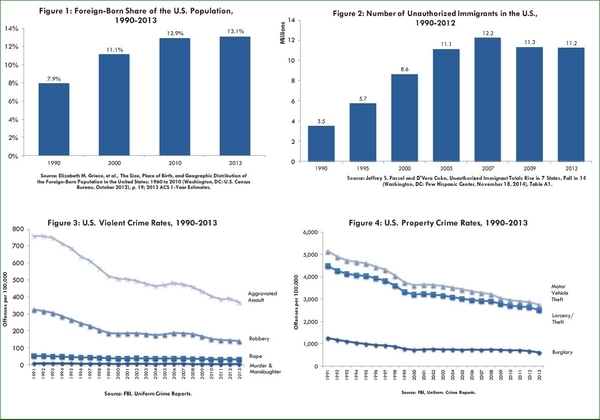 Immigration doesn't increase crime, it reduces it. Obviously there have been some brutal exceptions to the rule, and Trump has repeatedly made a point of highlighting Americans whose loved ones were killed by illegal immigrants. Four such Americans were in the visitors' gallery during Trump's Feb. 28 speech to Congress. He used their devastating stories to lend emotional support to his harsh immigration stance, and announced the creation of a new federal program — Victims of Immigration Crime Engagement, or VOICE — specifically to publicize crimes committed by migrants from other countries. Singling out assaults committed by the foreign-born might be defensible if immigrants were predisposed to crime. But immigrants are unusually law-abiding. Harping on a few atypical examples amounts to raw demagoguery — the scapegoating of a stigmatized group to incite fear and hatred. Instead of beating the bushes for bad immigrants to demonize, federal officials should be drawing attention to immigrants who demonstrate extraordinary heroism. William Ramirez, an immigrant from Colombia, risked his life to save a Miami police officer. Immigrants like William Ramirez, for example, a father of two from Colombia, who was on his way to his maintenance job at a boatyard when he witnessed a man trying to gun down a Miami police officer. Ramirez drove his van into the line of fire, shielding the policeman from the shooter and pulling him to safety. Immigrants like Diaz Chacon, an illegal Mexican immigrant in Albequerque, who saw a young girl being abducted off the street, and unhesitatingly raced after the kidnapper to rescue the child. 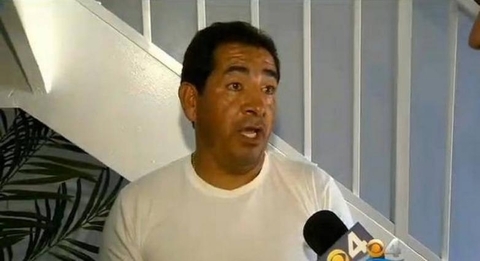 Immigrants like Jesus Manuel Cordova, who saved the life of a 9-year-old boy stranded in the Arizona desert. The boy's mother had died in a crash, leaving him helpless — until he was discovered by Cordova, who had just entered the country illegally. Cordova stayed with the boy, keeping watch for hours until someone eventually found them and contacted the authorities. Far from degrading America through crime and violence, immigrants enhance our nation's safety and security. There are a few shockingly bad apples, yes. Vastly more common are the heroes and hard workers who love this country and prove it daily. Diligent, peaceable, grateful, they enrich their communities in ways large and small, and, in so doing, continuously make America great again.